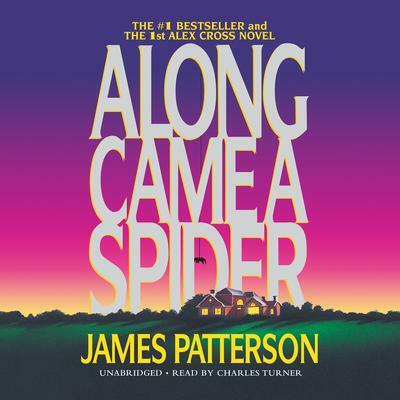 Here is the classic thriller that launched the Alex Cross series, the number one detective series of the past twenty-five years. A little girl named Maggie Rose is missing, a family of three in Washington, DC, has been brutally murdered, a beautiful elementary school teacher has been killed, and a psychopathic serial kidnapper/murderer has the police, FBI, and Secret Service outsmarted. Even after he’s been captured. Gary Soneji wants to commit the crime of the century. Alex Cross is the brilliant homicide detective pitted against him. Jezzie Flanagan is the first female supervisor of the Secret Service, who completes one of the most unusual suspense triangles in any thriller you have ever read. Alex Cross and Jezzie Flanagan are about to have a forbidden love affair at the worst possible time for both of them, because Gary Soneji is playing at the top of his game. The latest of the unspeakable crimes occurs in Alex Cross’ precinct. It happens under the noses of Jezzie Flanagan’s men. Now Alex Cross must face the ultimate test: how do you outmaneuver a brilliant psychopath? A little girl named Maggie Rose is missing, a family of three in Washington, DC, has been brutally murdered, a beautiful elementary school teacher has been killed, and a psychopathic serial kidnapper/murderer has the police, FBI, and Secret Service outsmarted. Even after he’s been captured. Alex Cross and Jezzie Flanagan are about to have a forbidden love affair at the worst possible time for both of them, because Gary Soneji is playing at the top of his game. The latest of the unspeakable crimes occurs in Alex Cross’ precinct. It happens under the noses of Jezzie Flanagan’s men. Now Alex Cross must face the ultimate test: how do you outmaneuver a brilliant psychopath?